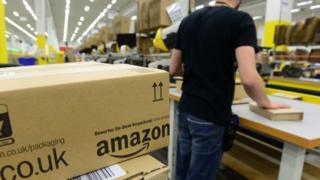 Online retail giant Amazon's website is flooded with fake five-star reviews for products from unfamiliar brands, consumer group Which? has claimed. Household names were largely absent from top-rated reviews on popular items such as headphones, smart watches and fitness trackers, it concluded. Thousands of reviews were unverified, meaning there was no evidence the reviewer bought the product, it said. But Which? 's probe suggested fake reviews were commonplace. ReviewMeta, a US-based website that analyses online reviews, said it was shocked at the scale of the unverified reviews, saying they were "obvious and easy to prevent".